Ooh, I love them! Chris would love the Franz Kline-inspired one. I prefer the curvy calligraphy. 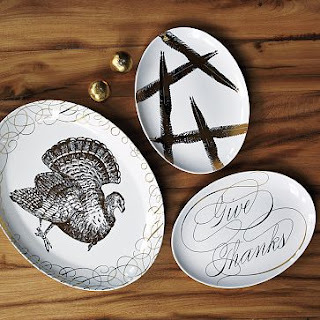 I LOVE the Give Thanks plate!! !